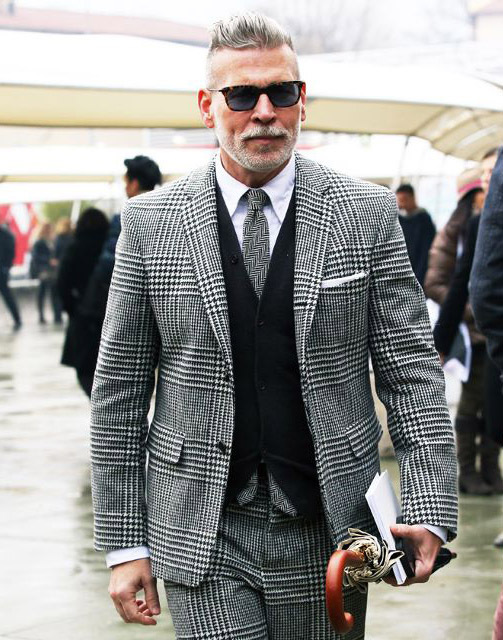 Who Makes Nick Wooster’s B&W Plaid Suit? Last year we caught a glimpse of Nick Wooster’s classic large-scale glen plaid suit, which he accompanied with a bold large-scale herringbone print tie. A year later and we are still trying to figure out who the manufacturer of this suit is. If you know the answer, leave a comment below and receive 2,000,000 karma molecules!